Kottayam: Kochi Metro services have be suspended and train services in the main Kochi- Soranur section stopped as water entered Aluva railway tracks and surging water level made travelling across Periyar river dangerous. Metro services were stopped temporarily due to power supply issues. Kochi’s surban Aluva is marooned as water from Mullaperiyar, Idukki, Idamalayar and other smaller dams were released to Arabian sea. Adding to it was the rain that lashed many areas in the State. Fortunately, rains have stopped bringing relief to the state. Water had entered lower floor of many apartments in Aluva and families were being removed to safer areas. Those residing on the banks of were badly affected. 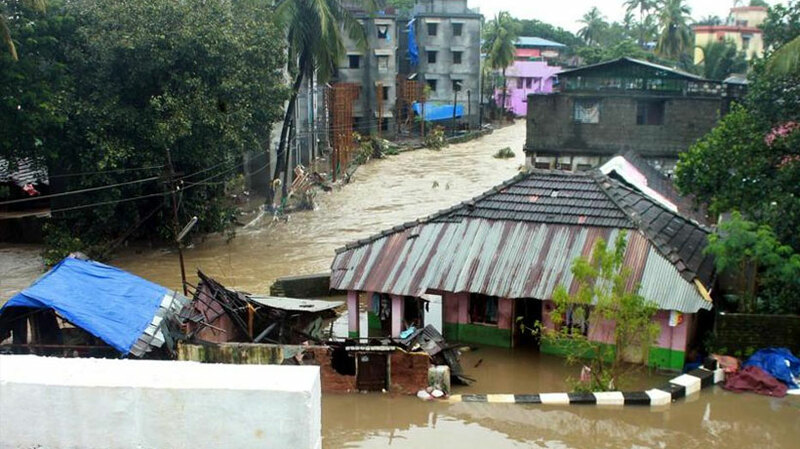 Worst affected was Pathanamthitta district where the army and Navy are engaged in rescue operations but lack of coordination between state officials was affecting the operation. The worst area was from Ranni and Chengannur in the district. Increase in water level in Pambayar river submerged many houses fully or partially. Those in double storey houses were still stranded on the roof of their houses since last night without food and drinking water. Power supply and communication have been disrupted for last few hours. All the phone numbers displayed for help were engaged or switched off. Even the Collector was not responding to calls. Fishing boats from Neendakara in Kollam have been put into operations. Landslips are being reported across the state. Situation in Palakkad, Malappuram, Kozhikkode and Wayanad is grip even as rain has stopped in these areas.